I couldn’t wait to get to Hawai’i and was so excited to cross the International Date Line for the first time in my life. I guess it was kind of a key moment for my Around the World Trip. Throughout my whole trip, I had been spontaneous so it was no wonder that I had only booked my first night at the hostel in Honolulu when I got to Hawai’i. By the time I write this post I have been to Hawai’i twice already so I am going to try to include the second trip in here as well. I managed to visit all 4 main islands in Hawai’i: O’ahu, Maui, Big Island and Kaua’i. On O’ahu I stayed in two different hostels. ‘Honolulu University Hostel’ is a cute oasis right next to the University of Hawai’i. It’s a quiet place to get some sleep and rest which is why I preferred it over my second hostel. ‘Waikiki Beachside Hostel’, as the name implies, is right in Waikiki which is an advantage cause you can easily walk around without having to take the bus. It is rather dirty and loud though and I just chose it for the convenience. My second time in Hawai’i I was staying with someone who lived on the island which wasn’t even comparable to the hostel experience and made my time in Hawai’i even more special. Renting a car might be a good choice if you want to be really flexible but if you’re looking to save some money you can easily get around with the bus. Well, ‘easily’ is a strong word, but you’ll make your way around. Interesting fact: every bus ticket can be used twice for any connecting ride and it’s always $2.50 no matter where you go: it can be 2 stops or all around the island. Bring a jumper or in my case always carry a blanket with you…the buses get freeeeeezing! To travel between the different islands you can book flights directly through Hawaiian Airlines. Round trips can sometimes save you some money but I simply booked single trips and it was about the same price. You can also book an individual inter-island route which can be somewhat cheaper. I only booked my flights 1-2 days in advance and was totally fine. Become a member and add your check-in bags after you have purchased your plane ticket, that will save you some money. The public bus will also easily take you to ‘Pearl Harbor Memorial’. Don’t fall for scams and take one of the expensive tours. Pearl Harbor itself is free of charge, you just have to make sure to get a ticket in time since they regulate how many people they let in, same for the Pearl Harbor Historical Tour and Ferry to the ‘USS Arizona Memorial’. So make this your first point on the agenda for the day and you won’t have a problem. The memorial will leave you absolutely speechless. Standing in the warm Hawai’ian sun, feeling the wind blowing through my hair everything seemed so peaceful and harmless. Imagining that this was the same feeling everyone at the base had felt all those years back right before they spotted the first fighter planes and bombers left me in shock. Besides the Naval Base at Pearl Harbor, O’ahu is also home to one of the ‘United States Marine Corps Bases’. German Military seems so ridiculous compared to this. The base is located on a peninsular. There is a pillbox hike in Kailua, called ‘Pu’u Maeli’eli’, that will give you a perfect view of the base. It’s like a little town with stores, beaches, and families (high ranks!) living there. One area actually reminded me more of desperate housewives than United States Military. How I managed to get past the gate? Let’s just say I had my very personal guide with me. There is so much to do on the island. I’m sure that each time I will come back there will always be more to explore and discover. I normally don’t promote tours but a tour you should definitely take is the ‘Macadamia Nut Farm’ tour. They take you for a ride through their gardens and tell you all about their agriculture and Hawaiian culture in the so-called ‘Coconut Village’. Note, you will most probably end up dancing with the group towards the end, such a funny moment. At the end of the tour, they’ll give you free fruit to take home. We took a whole stem of baby bananas with us…yum. Also, you can purchase delicious goods at their store. I bought lilikoi butter to have with my pancakes back home. Speaking of FOOD there are so many delicious things you gotta try when in Hawai’i. The obvious is Acai Bowls, try different ones and make out your favorite. ‘Banan’ is a fun food truck in Waikiki area you should check out. Also, ‘Lanikai Juice’ in Kailua has this awesome Monkey Protein Banana Bowl you should try. On certain days during the week (google to check the schedule) there are various farmers’ markets which are the best to grab food for dinner. You can also grab dinner from ‘Maui Mike’s Chicken’, also in Kailua. Get there in time or they’ll be out of chickens. You can always get fresh dinner from a grocery store like ‘Wholefoods’ and it’s actually really good. You can also buy ‘Poke Bowls’ there which is a local dish (raw spicy salmon salad). ‘Cinnamon’s’ in Kailua is great for breakfast, I had these awesome Red Velvet Pancakes there (Yes, they were red! With white chocolate topping!). In the same building is the ‘Manoa Chocolate’ Shop – a shop with locally made chocolate. In Waikiki, ‘Doraku Sushi’ is a great place to have the best sushi and it’s located right in the center of Waikiki. If you feel like having a Mai Tai afterward at ‘Dukes Bar and Grill’, which you absolutely should, don’t forget to bring your ID. Last time I was asked to show an ID when ordering a drink must have been like 10 years ago so today was a premier. Well, welcome to the United States. That night ended with me not getting a drink and us having to come back another night. Well, we had a good laugh at least. Finally, among a lot of other things you should try, you will have to have a shaved ice cream from ‘Island Snow’ – it’s very fine crushed ice with various flavors. On the North Shore, there is a café with these sick shakes, they add Oreos and cheesecake etc. to your shake. It’s next to ‘Kono’s’ which is also good for breakfast and my favorite: pancakes (‘Lisa, people can easily tell you’re a foreigner because you’re not ordering sides with your pancakes.’). On your way up to the North Shore there is the famous ‘Giovanni’s Shrimp Truck’ you should check out. Food trucks are a big thing but this one is extra special since you can sign it. As for OUTDOOR ACTIVITIES, you can spend the whole day outside hiking, you’ll always find a new route. The obvious around Honolulu area is ‘Diamond Head’ – Get there early as it will get really crowded throughout the day. You can easily take buses to most of the trails. 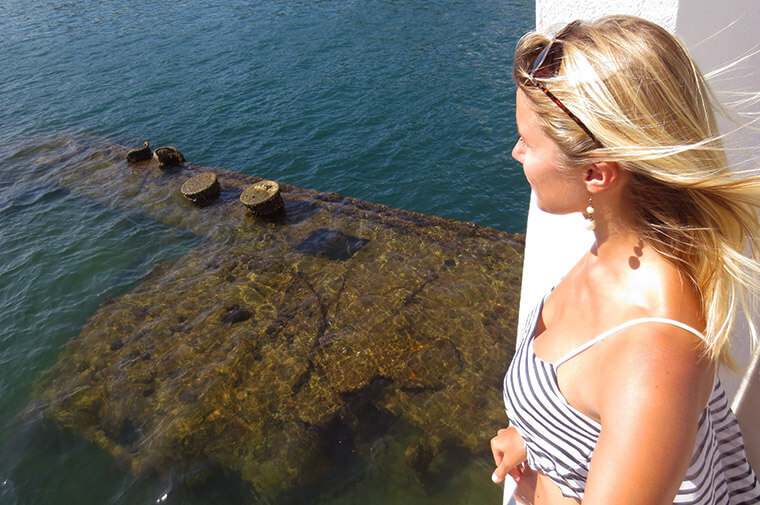 On the same day, you can also check out ‘Hanauma Bay’ since it is in the same direction. Both attractions are rather touristic and I would choose weekdays and early hours to visit them. When you take the bus the other direction to Kailua and you get off at ‘Kalanianaole Hwy + Auloa Rd’ and follow ‘Maunawili Rd’ you will get to the trail to the ‘Maunawili Falls’. It is a muddy, slippery track so make sure you bring shoes with a good grip. When you reach the falls you can also jump in from 10 meters but you’ll have to jump in close to the actual waterfall since it’s the only spot that is deep enough. On your way back down you can choose the fun route and just follow the fresh water stream downhill by actually walking in the water. Close to ‘Maunawili Falls’ back at the main Hwy you will also find the famous ‘3 Peaks Trail’: from the main Hwy just take the turn to the Golf Course and it will take you right to the trailhead. First time I was there I was just about to get off the bus, very enthusiastic, when the bus driver asked me concerned who I was going with since his friend just died last week when he did the hike all by himself. Oookay, I did not do the hike that day! 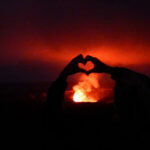 Luckily, I came back to Hawai’i a second time and could do the hike with a partner then. I would have totally missed out on something. I am not going to lie: it’s a tough and sketchy hike but it’s totally doable and it’s so much fun. Well, I didn’t necessarily need the lashing rain on the way back while climbing a cliff – But it sure made the hot shower after that active day even more enjoyable. ‘Stairway to Heaven’ is probably the most famous hike on the island. I didn’t manage to fit it in since you can only get there by car (parking situation is complicated so maybe have someone drop you off) and it’s illegal (Get there early and do it anyway!!!). It’s still is on my bucket list. Another hike with a view is ‘Lanikai Pillboxes’ that will take you to the pillboxes overlooking Lanikai beach. Most people enter from the Lanikai side. I always took the backdoor entrance though entering from Kailua. From ‘Keolu Dr’ take a right to ‘Kamahele St’ and at the end of the street, there will be a hidden gate. The trail is not that obvious either so just let your intuition guide you and it will take you to the top. I was always the only one hiking up from this side and it was the most peaceful feeling being surrounded by the stunning Hawaiian mountains. I always took this hike to get to the beach: first workout, then the treat. You can just hike down to ‘Lanikai Beach’ once you’ve reached the top. It’s been rated the world’s best beach multiple years in a row. You’ll see why when you get there. Another hike on your agenda should be the ‘Pipeline Hike’ (‘Ehuaki Pillbox Hike’). Get off at Sunset Beach (Kamehameha Hwy up to the north shore) and the entrance will be right next to the elementary school. The circumstances that took me here were rather funny since I went with two guys I had just met an hour ago at Lai’e Point. 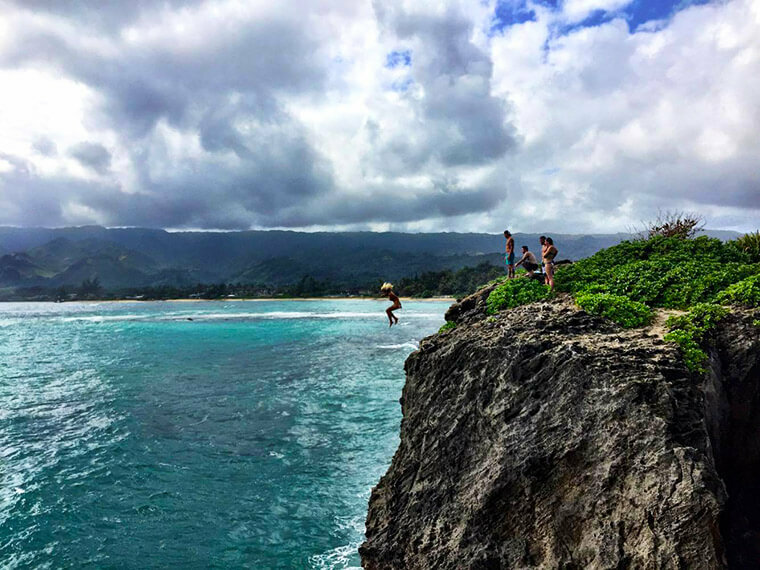 Lai’e Point is one of THE hot spots for cliff diving. I had made my way out there with the public bus to ‘just check it out’. Well, it didn’t take long and I found myself jumping off the cliff. It was honestly one of the greatest things I have done in life. It was such a random perfect day. ‘Girl you’re crazy, you just went like that!’ I actually jumped 3 times – I just couldn’t get enough. By then the guys had already left and I ran into them again at the bus stop. ‘Hey Lisa, what are you up to? Jump in we were gonna spend a great day exploring the island!’ Alright then, considering for a second what my mom would say and deciding that I didn’t care, I found myself in their car. When I got up this morning I didn’t even have the slightest idea what great things were awaiting me. It’s just the best feeling, going out there with open arms and open eyes…allowing life to write its stories. We finished the day off by driving to ‘Kaena Point’ which is a must and one of the best spots to watch the sunset. Both times I went there I had an absolute blast since the road out to the point is covered with holes and makes up for the bumpiest ride, something that gives me pure joy. Both times, I also, actually didn’t even make it right in time for sunset…you underestimate how long it takes to get out there, plus you’re only granted access to the nature reserve with a code, so you either have the code or have someone with you who knows the code or you have to walk and that will take even longer. Besides hiking, there is so much more you can do on the island. Rock climbing is a big thing which I didn’t really have enough time for. Another priority on my list was spending as much time as I could in the ocean. An organization with a great cause is ‘One Ocean Diving’. The founder and marine biologist ‘Ocean Ramsey’ is an active shark conservationist and has been freediving with great white sharks. Sharks have been my favorite animals ever since I was like 4. Going on a snorkel trip with those guys was an obvious must. Due to weather conditions, our dive was scheduled crazy early. 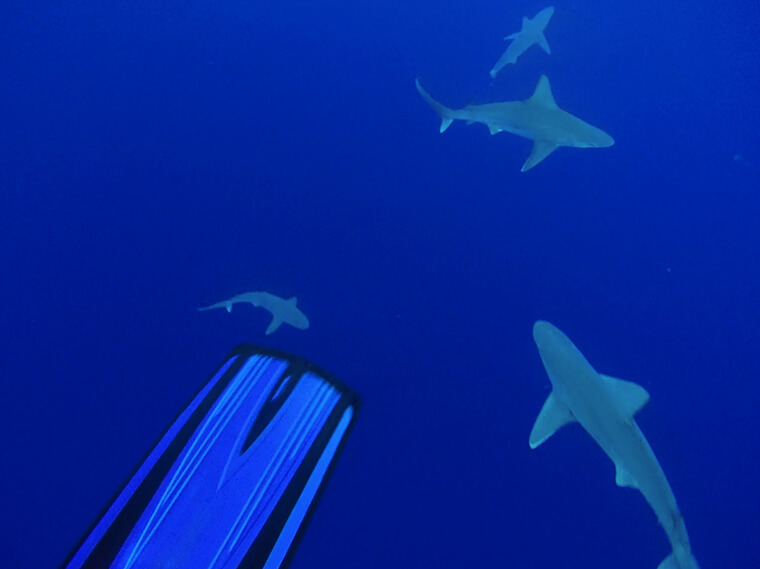 What’s so special about this trip is that they take you out with the boat and attract sharks (Galapagos sharks, Silk sharks, sometimes Tiger sharks) with sounds (no baiting involved!) and you can then swim and dive with them. The idea behind this is to get people to interact with the sharks in their natural environment and to show that they’re not the brutal killers they’re often misjudged for. You can find those guys on the North Shore which at the same time gives you the perfect opportunity to explore the area around the little town Haleiwa. If you’ve got some more time rent a kayak and spend a day exploring the ‘Mokulua Islands’ off Lanikai Beach. I went over there with a ‘Speedy Gonzalez’ and really had to work my arms to keep up…a really good workout, though! It was another perfect day! Watch out for the waves, especially when you get closer to the island. Once you reach it don’t just stay at the beach but make your way over the rocky cliffs to your left to a beautiful spot where you can chill, jump off the cliffs and go for a swim while the waves come crashing in. I ended that day with a glorious face plant on the sand after I was ‘riding a wave’ to get back to the beach and my kayak flipped…what a great show for everyone at the beach. Oh, how I love laughing about myself…that sure was one of those moments. Finally, if you have never skydived, Hawai’i is the place for it. Fortunately, I still had my first ever SKYDIVE saved and I was really excited I got to do it on O’ahu. Book it with either ‘Pacific Skydiving’ or ‘Skydive Hawai’i’. The booking is easy and they will pick you up at your hostel/hotel. Don’t read through the waiver you’re signing or you’ll backpedal. It was the perfect morning. My tandem skydiver was making jokes trying to scare me once we were up in the air…Sorry, we obviously haven’t met, this has me excited not scared! Hawai’i really showed off this morning. There were no clouds…just the bright blue sky and the deep orange colors of the rising sun transforming the sky in a piece of art. I think if there are ever perfect conditions today was the day. So when I jumped there was nothing in this world that could compare to this moment.